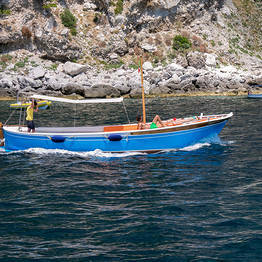 A "gozzo" is a traditional wooden boat which can hold a maximum of 6 passengers. Gozzo boats are almost always rented with a skipper, as they are not easy to navigate for those who do not have much experience. 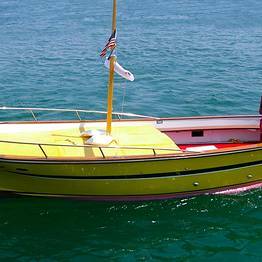 A gozzo is perfect for a couple, as two passengers can comfortably lie on the padded sundeck. 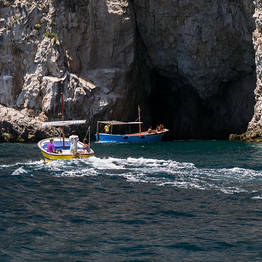 Gozzo boats are quite stable but do not travel at high speeds, so ideal for a sail around the island of Capri but not for destinations further away or along the coast. You can also arrange a small picnic, Capri-style on board a gozzo with tomato and mozzarella sandwiches or other local specialties. You can either pack it yourself, or arrange your skipper to prepare it for you. There are always cool beverages provided on board. 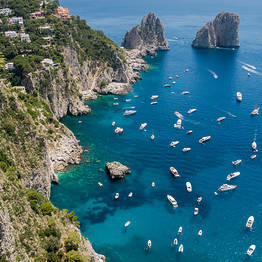 How much does a boat tour of the Capri, Italy cost on board a gozzo? 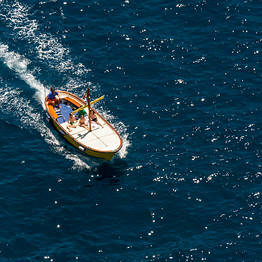 Boat rentals with a skipper on Capri usually cost around EUR 150 for a couple of hours. In low season, you can sometimes find discounts or special offers. Prices are always listed per boat, never per person. 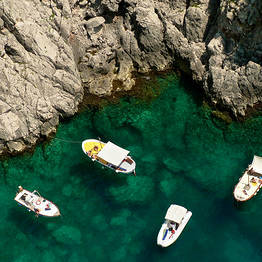 What's the difference between renting a gozzo or joining a group boat tour? Ticket prices for a group boat tour are much less expensive, but you will be on a boat with a large group of people and you can't stop to take a swim. 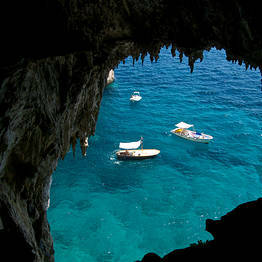 Can you visit the Blue Grotto with a gozzo? Of course! 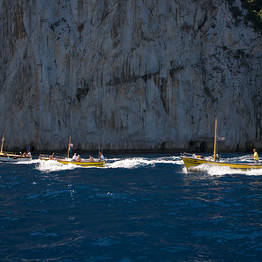 Your skipper will stop in front of the Blue Grotto so you can transfer to one of the row boats that take visitors inside. 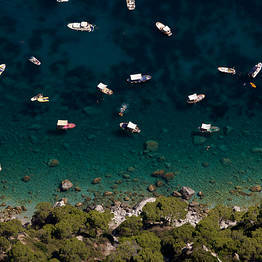 Usually, the wait for visitors arriving on private gozzo boats is shorter than for those on large group tour boats. No, all gozzo rentals provide clean towels. Is is best to book a tour for 2 hours, 4 hours, or all day? 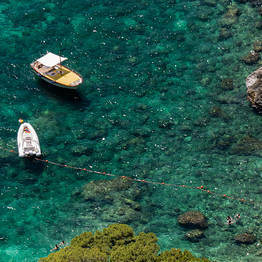 Two hours is the minimum time you'll need to tour the island, and we recommend it only for visitors who have a limited time to spend on Capri...either day trippers or those who prefer to spend more time exploring by land. A full day tour can be tiring for those who are not used to spending a long time at sea. A four hour tour is usually the best option. 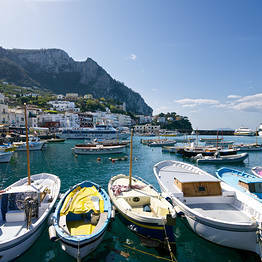 If you want to spend the entire day relaxing at sea, then book an all day tour and stop for lunch at one of the excellent seaside restaurants along the coast of Capri.